NTE has a complete selection of high quality zener diodes from 2.4 volts to 200 volts and from 1/2 watt up to 50 watts. Both axial lead and stud mount types are available. 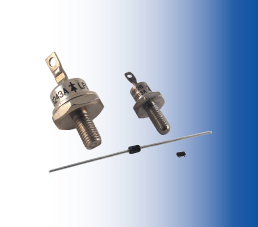 Along with our 300mW surface mount types, NTE can provide a zener diode for most all of you application needs.